The following specification is the maximum weight that can be loaded onto the roof rack. Distribute the load as evenly as possible on the roof rack and secure the load firmly. Always drive slowly and turn corners carefully when carrying items on the roof rack. 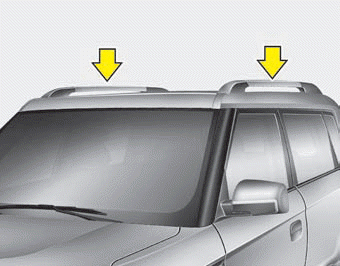 The vehicle center of gravity will be higher when items are loaded onto the roof rack.